Chandeliers are one of the most loved type of lighting because aside from its awe-inspiring designs, it also has function and it can add beauty to a home’s interior whatever the space is. 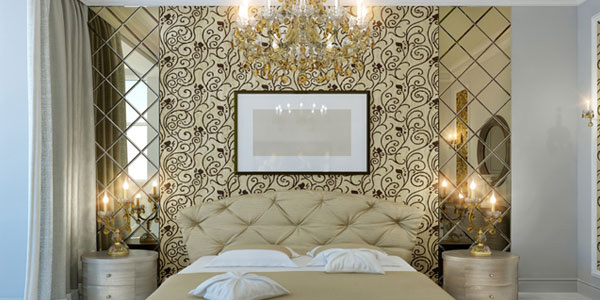 Chandeliers can add drama to a bedroom, living room, dining room, kitchen and even a bathroom. You can actually use it anywhere you want to. Even an outdoor gazebo would look fascinating with one. Since we are talking about buying, you have to check your budget. There are varying prices for chandeliers. See to it that you will get the ones that will suit your budget. There are more expensive ones but there are also some that are a bit cheaper. You can check some chandeliers online that are for sale so you can have an idea as to how much you would need to spend for one. 2. Know your interior design theme. Before you get a chandelier, you should have decided on the kind of interior you want. 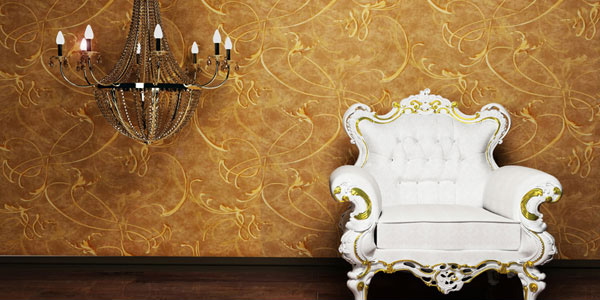 This means if your interior is modern, traditional, contemporary, eclectic and others. Chandeliers are also designed depending on the interior of a home. Get a chandelier that has the right design for your home. Aside from the theme, you can also check on the style of the chandeliers like if they have crystals on it, wrought irons, shades and others. Even the color would also matter. 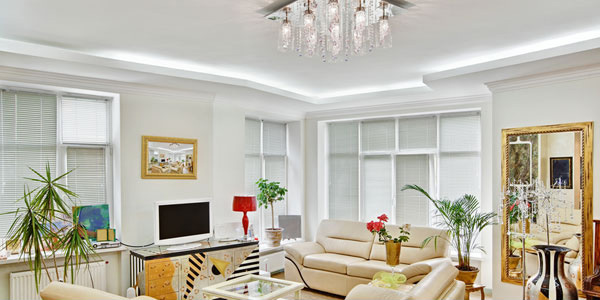 Commonly, chandeliers are placed on bedrooms, foyers, dining rooms and living rooms. Your chandelier would also depend on the kind of space you will be placing it. The size of the room matters too. A bigger chandelier would look good for a spacious room because if you will place a small chandelier, it will look too tiny in the area. If you need a smaller lighting, you can use pendant lights instead. 4. Choose a chandelier’s materials. We have mentioned that a chandelier is made up of different materials. There are some that uses wrought iron, metal, beads, crystals, and others. See to it that your interior’s materials would match that of the chandelier. Let it blend well with the window treatments, wallpaper, furniture and others. Also, try to create coherence with all your lighting fixtures from the chandelier to your wall sconces. Chandeliers are dust magnets. Dust easily accumulate on them especially if it has intricate designs. The simpler the design, the easier it is to clean it. If you are eyeing to get one that has easy maintenance, then grab those with simpler designs. Once you have installed the chandelier, make sure that you will be able to clean it regularly to maintain its look and to prolong its good quality. 6. Think of ceiling height. Aside from the room’s size, the height of the ceiling should also be considered. The higher it is, the bigger chandelier is needed. If the chandelier has bare bulbs, it should be installed higher to avoid glare. But not too high or else it will look stunted. 7. Check on the bulbs. Look into how many bulbs are there because the more bulbs, the more light would come from it. If you need a chandelier that is more for decoration, pick the ones with lesser number of bulbs. If you want more glare, then get a chandelier with more bulbs. You can also consider a chandelier with shades in order to control the amount of light that is emitted from it. Also, check if it uses specialty bulbs because these are harder to find and are even more expensive. There are different sizes for chandeliers. Aside from large ones, there are mini-chandeliers. It would be best to place a large chandelier for dining rooms. A smaller one would fit the foyer or the bathroom for decorative effect. You just have to be wise in picking the right size so that it will look good in your room. As always, it is better to buy something that has warranty. So, look into the warranty of the chandelier that you will buy. Some might even allow you to try it in your house and bring it back if it doesn’t look right. Inquire about this from the lighting store clerk so you will be clarified. You should also look into how long the warranty is and if they do repairs if some problems occur. 10. Browse catalogs online and offline. To give you more ideas on what kind of chandelier you can get, do a research online. There are lots of online stores where you can see a showcase of chandeliers with their specifications and prices. Aside from that, visit a local store and check on what they have. Ask for a catalog so you can compare prices, designs and specs. This will help you get the right chandelier for your home. Instead of merely thinking about how your room would look like once you get a chandelier, it is better that you consider the above mentioned things. This will ensure you that you can get a chandelier that will look right in your home. Also, this will put your expenses to good usage which will make you think that your money spent is all worth it. After all, the look of a room with a chandelier is totally dramatic and undoubtedly appealing! If you want to see a showcase of chandeliers, check on some wrought iron chandeliers and modern chandeliers. Great article with lots of inspirational images. One thing I think is lacking in your article is specific info on sizing and placement.